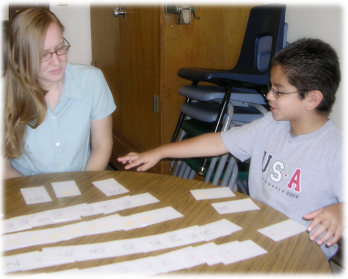 » Tips, Tricks, and Strategies for Teaching Students with Autism - Register by January 18! The Arizona Teacher Mentoring Project website provides important information for teachers, mentors, and Arizona school districts. The goal of this project is to maintain and increase the number of fully certified and highly qualified special education teachers in Arizona. The Teacher Mentoring Project provides support, resources, and mentoring to early career special education teachers. This UA teacher mentoring project partners with several school districts in southern Arizona to offer professional development, mentoring, certification assistance, and web-based resources to improve education in the state of Arizona. contact Dr. Maria Nahmias, Project Director. Sponsored by the University of Arizona and the Arizona Department of Education State Personnel Development Grant, and the U.S. Department of Education. Department of Disability and Psychoeducational Studies. Contact Brian Berrellez at bberrell@email.arizona.edu for technical web site issues.